There’s just 24 hours to go until our Coral Challenge Cup fifth round tie against Workington Town. 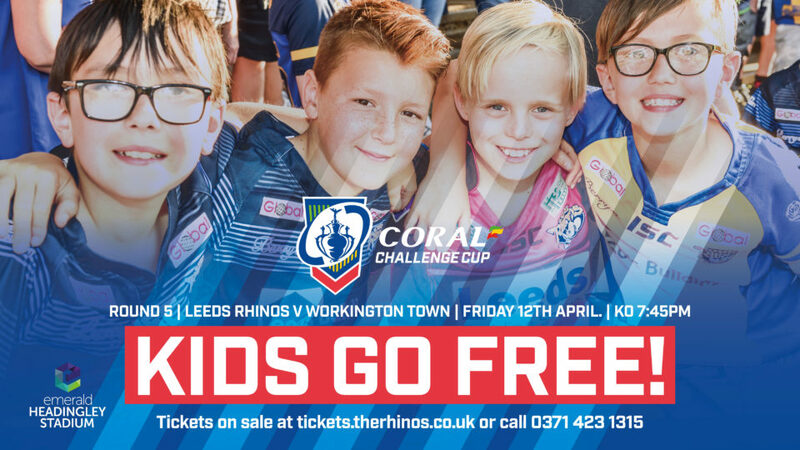 All kids aged 16 & under go free and can claim a free match ticket online at tickets.therhinos.co.uk for a standing position or a reserved seat in the South Stand or Extentia Terrace. There is no match day price increase so you can also come along and pay on the day for the same great price! Cash turnstiles will be available on St Michael’s Lane for standing tickets. Junior tickets also remain free on match day and juniors should use the designated turnstile on St Michael’s Lane to gain entry. *Concessions = seniors 65 & over, students, disabled and under 21s on production of valid ID.